In order to achieve high gain, the differential cascode topology can be used. 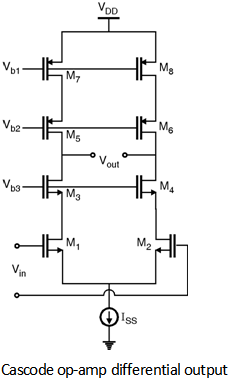 Figure below shows the single ended output configuration of cascode opamp. 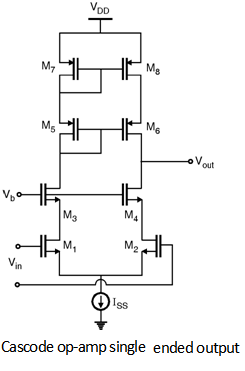 Further, Figure below shows the differential output configurations of cascode opamp topology respectively. * The drawback to telescopic topology is that the output swings are relatively limited.